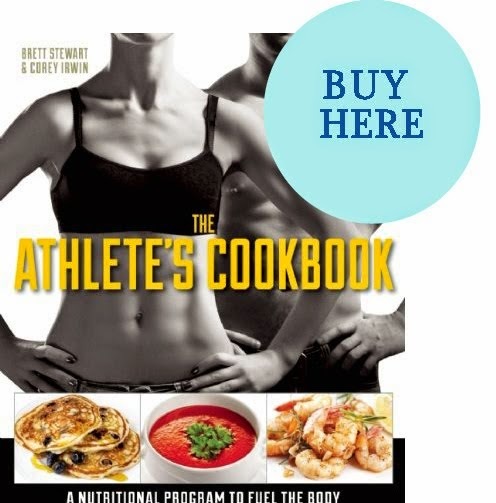 These nutritious treats were created specifically with busy athletes in mind. They're healthy, portable, and extremely quick and easy to make. Eat them as pre- or post-workout snacks, or just take them with you and pop them in your mouth when you're on the go. 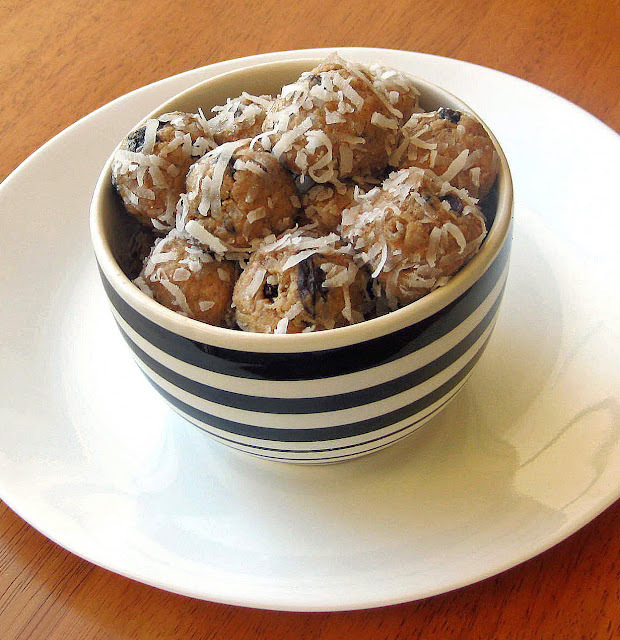 Although these energy bites don't contain any refined sugar or any other types of sweeteners, (artificial or otherwise), the raisins and unsweetened coconut give them a wonderful, natural sweetness all their own. So, instead of reaching for sugary or starchy processed, nutritionally deficient snack foods filled with nothing but empty calories, try this healthy and delicious snack instead. Not only are these treats a much better thing to grab than junk food, but they're also going to fill you up. So, chances are good that if you have these little snacks on hand, you're much less likely to reach for less-than-healthy options that just don't satisfy, or at least not for any length of time. As most regular readers here probably already know, I test ALL of my recipes before I post them here or put them in any books. This of course means that, at the speed I'm creating all of these recipes for various different books, there's often too much food for Erik and I to eat just by ourselves, even if I cut the recipes by half (or more) and make small portions. There's also this: If you add everything up -- not just the dishes I create for the cookbooks and blog, but also the other dishes I make for other purposes, and then add to that the general food items that've been purchased on grocery shopping trips -- our fridge can fill up pretty fast! Of course, it's easier when I go home to visit my parents, because then there are more people to cook for and it's easier to share the wealth that way. I was raised to not waste food, so I try to only make as much as we can eat. There are, however, some situations in which I might accidentally make a little bit too much (for various reasons I won't elaborate upon here). When that happens, I'll usually invite friends over for meals and snacks or make special deliveries. :) Of course, the other viable option is to give the food to a shelter (for the homeless, abused women, etc. ), which we've done in the past when there have been too many leftovers from a party or other function. Throwing out perfectly decent, healthy food just isn't an option. Directions: Combine first three ingredients (almond butter, hazelnuts, and coconut flour) in a food processor and process until ingredients are completely incorporated. Then fold in raisins and half of the shredded coconut using a baking spatula until well combined. Roll dough into bite-sized balls using the palms of your hands, then dip each ball into a small bowl containing the other half of the coconut flakes and roll around in the bowl to completely coat. Transfer each ball onto a 11" x 17" wax paper covered tray as you complete them, spacing them evenly apart from each other. Place tray in the refrigerator for 15 minutes to solidify. Eat and enjoy! Refrigerate any leftovers. Chef's Notes: If you're making these as a snack to go, just simply wrap them in small squares of wax paper and place into an airtight container or resealable plastic bag. They also make great holiday treats as well. To give them as a gift, simply place the individually wrapped energy bites into a wax paper lined (holiday) gift tin.